This tutorial is intended for owners of the recently released HTC One Android smartphone, who want to set up an Exchange email account on their device. We have simplified the steps to walk you through the entire process with no sweat. Step 1. Tap the All apps icon located at the home screen. You will then be prompted with a new screen containing the list of menu icons. Step 2. From the menu icons, locate and tap Mail. Doing so will lead you to the next screen that will ask you to choose a mail provider. Step 3. Since you want to set up an exchange email, locate and tap Microsoft Exchange Active Sync from the available mail options. NOTE: If you already set up an email account, just tap the menu icon and tap Add account to create and set up a new account. Step 4. After tapping Microsoft Exchange Active Sync, enter Email address and Password you want to use. Step 5. Be sure to enter the right email and password, then tap the Next button to continue. Automatically, your phone will try to set up the account. Once the settings are found, just tap the Exchange Active Sync settings you prefer, then tap the Next button to proceed. NOTE: In case the settings are not found, verify the email address you just entered and make sure it is correct. *Server Address - Tap the server address field, then key in the Exchange server address. *Domain - Tap the domain field, then key in the required domain name. *Username - Tap the username field, then key in the account username. NOTE: In some cases, an encrypted SSL connection may be necessary. If so, then tap to check SSL. In case you are not sure of the right settings configuration, contact the email provider or company email administrator to verify the exchange server settings to use. Do so to avoid problems later on. Step 7. After entering all necessary details to set up Exchange ActiveSync account, tap the Next button. Step 8. Tap to modify/re-configure the preferred Exchange ActiveSync settings, then tap Next once done. Step 9. Provide a name for the account you just set up, and then tap FINISH SETUP to complete the process. HTC One is the latest Android smartphone flagship released by HTC Corporation this year, a Taiwanese smartphone and tablet manufacturer based in New Taipei City, Taiwan. The device originally comes with a sleek aluminum body with a live home screen that allows you to stream all your favorite contents. It's the successor of HTC's 2012 One X smartphone. 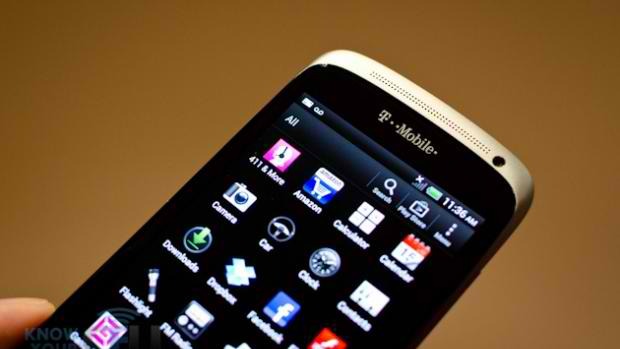 HTC One is packed with new services and features that will reshape your smartphone experience.